Betin is a bookmaker that offers its services to the Kenyan nation since 2013. The company is licensed by the BCLB (Betting Control and Licensing Board of Kenya) and operates under legal law. 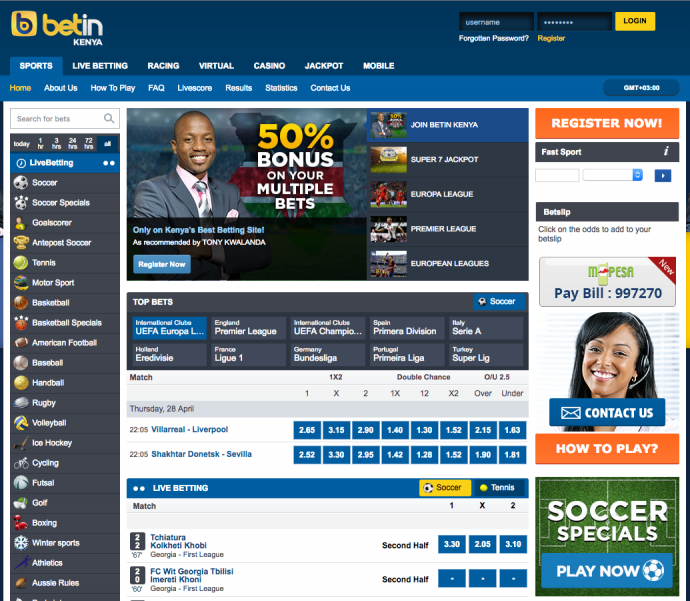 Betin operates under the website www.betin.co.ke and operates under several categories: sports, racing (dog & horse racing), virtual games, casino and jackpot.The sportsbook is rich with various types of sporting activities such as: soccer, tennis, motor sport, baseball, handball, rugby, golf, hockey, winter sports and many more, and covers various sports activities taking place across the globe. Do you like live betting? Betin has real time services on its platform. Feel free to place your bets on various sports activities taking place! If you like casino games, Betin has a platform filled with them. Go ahead, sign up and play some roulette, blackjack, slot machine, scratch cards. There are some well adapted african traditional games, or within the african context that you can play and enjoy such as Ayo, African Nights. If you want more emotions and want things to be live join the live casino for a session of baccarat or poker. Betin Kenya has a distinct category of betting: Politics and Music &TV. This bookmaker gives the opportunity to earn by predicting on geopolitical matters taking place around the earth such as who will be the next president of the US and events taking place in the in the music and show-business industry. If you are into the entertainment industry, join this platform and begin making your predictions! Betin Kenya owns a practical platform and there are many methods to be able to deposit and withdraw money. You can deposit and withdraw money using your Mpesa. The website can only be operated by customers aged 18 +. The minimum amount to place a bet is of 50 KES. To become a member you just have to create an account and fill in the section with your personal data such as your name, date of birth, phone number. Once your information is validated via an sms, go ahead and begin betting. The company offers professional support for its customers. All complaints are filed on the site. If you have technical problems please contact via email or customer care phone lines. The Customer service operates from 9-17, during 7 days a week . You can also consult the frequently asked questions (FAQ) column to eliminate any doubt about general themes such as your login details, how to place bets etc. With the technological revolution taking place nowadays, Betin is adapting itself to the new reality. Place bets using any mobile devices such as an iPad, iPhone or any other mobile devices from anywhere you are! There is a raised concern about gambling addiction. The site provides a column dedicated to the protection of the players in the field of online gaming. We find on this space tips to maintain balance and to avoid developing an Bet365 addiction. There is a test you can take to find out what type of a punter you are, and know if you are not crossing the line into excess. 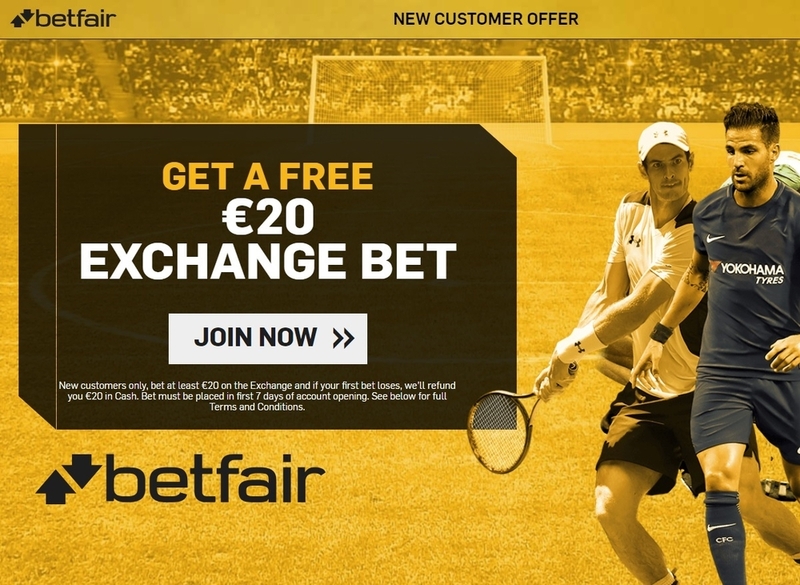 Betin runs a great blog and ensures that you are aware of all its latest news. Betin updates you with sports events happening around the world. You can find out as well in its "Hall of fame" column the biggest winning bets of each week. The bookie runs a twitter page and keeps you informed on all the events. If you are hungry for fresh news, do not hesitate in visiting these pages.